Wanna have a chance to experience flying in luxury? 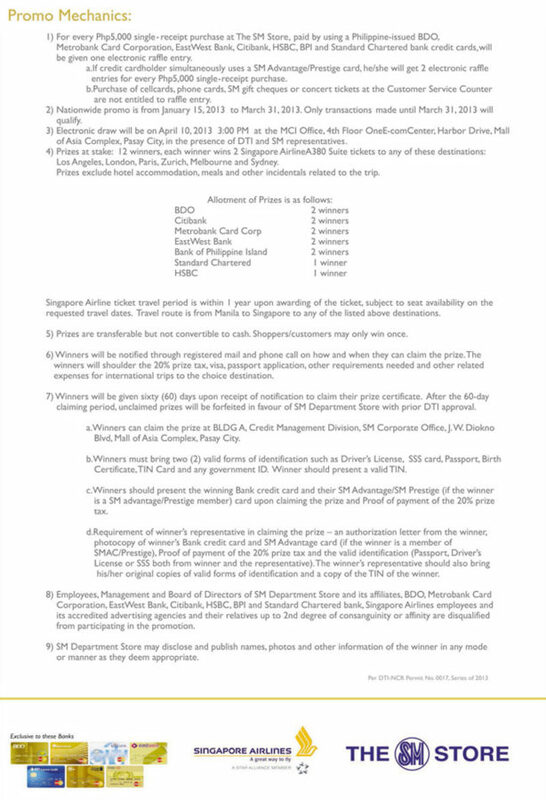 This is your chance to fly to a destination of your choice in your private sanctum in the sky. 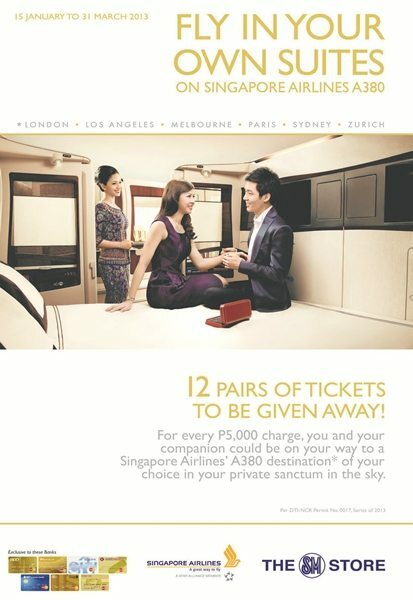 Join “FLY IN YOUR OWN SUITES” on Singapore Airlines A380! 12 pairs of tickets to be given away! See posters or visit www.smdeptstore.com for details!